If you’re getting ready for a move, it’s important to stay safe. So many bad things can happen that might seem totally unexpected, but with the proper preparation could be easily avoided. To keep you safe for your next move, we believe it’s important to arm you with a whole slew of tips and tricks on how to navigate each house and make sure that there are no obvious safety hazards that will have to be taken care of to avoid. In our previous blog, we discussed the importance of keeping the weight of boxes under control so you don’t strain yourself as well as marking obstacles like raised portions of the sidewalk that might trip you up as you hustle large pieces of furniture in and out of the door. 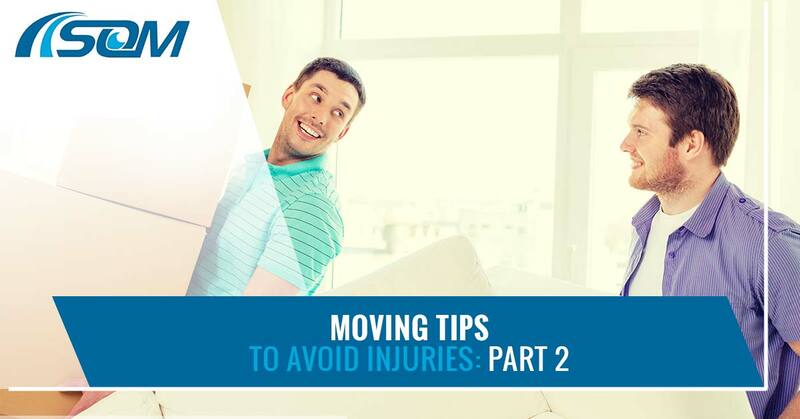 In this blog, we’ll continue to discuss the various safety measures that will prevent you from suffering injury during your move. If you have a toddler, you’re probably already pretty decent at spotting things that shouldn’t be safety hazards but actually are. If, however, you are not the proud parent of a toddler, you might not be so practiced in spotting the less obvious danger zones in places you wouldn’t expect. For example, if you think the entryway to the new house or current home might become slick you might consider investing in a traction mat to keep people from falling while carrying large furniture items out of your home. If the folks moving your things around will be crossing an expanse of grass it’s wise to invest in one as grasses have a way of coating even the best tread with slick due. If you’re worried about scratching that new hardwood floor up too, those mats would be a great solution to that as well. Other hazards include oddly placed posts, poles, and trees that could prove to become obstacles as the movie progresses. Sometimes all you’ll have to do is move the truck or trim a couple of branches to avoid that potential hazard altogether. To begin, we don’t recommend wearing flip flops, heels or shorts when moving. Wearing the appropriate attire for your moving day is step one to not experiencing some unpleasant injury. Don’t dress in articles with loose sleeves or anything else that might get snagged, as it probably will. Wear good footwear, like tennis shoes, that won’t turn any surface into a slip and slide. Open toe shoes are a huge no as toes will get easily crushed when protected by a shoe, let alone without one. Before the moving activities begin, clear the space around the house that will act as high traffic areas. Set the heavy boxes and boxes that need special care to the side, so that you can easily point them out to Scott’s Oceana Moving team that there are special directions surrounding those boxes. As far as organizing other items, be sure to have everything that you want disassembled is taken apart and ready to get in the truck by the time our team arrives. You might even go so far as to organize your own team of movers alongside ours and give them directions depending on what you think is best. We’d caution you to listen to our team of professionals as they will know better in some instances and will help the process go much smoother. If you’d rather avoid all of the unnecessary safety issues, go ahead and give us a call. Our team of moving professionals know how to handle themselves on different terrain when moving. We’re dedicated to ensuring that your move is as stress-free as possible so that you can start this new chapter of your life on the right foot. Whether it’s a local move, a long distance move, or even a commercial move, we’re here to help when we can. Contact us to schedule your next move.